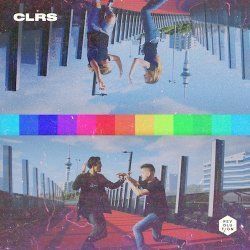 This 5-song EP captures the energy of the New Zealand creative collective whose aim has always been connecting young people to Jesus. "CLRS is a celebration of the colour, purpose and fulfillment that we find in Jesus," explains Kenan Stephenson. "We’ve always written songs that we hope will draw people to God, and so we hope this fresh sound will encourage people." In addition to "Senses," which released last month, the EP contains engaging synth-driven songs including "Always Enough" which recognizes that only Jesus can satisfy and "Promises," which proclaims God's faithfulness and declares, "I’m believing in what You've said. I’ll trust when it doesn't make sense." Earlier this year I reviewed an EP called "Hands High" from Equippers Revolution that was released in June 2017, so if nothing else I am hopefully getting faster with working through my reviews list! Coming from New Zealand this youth movement is more than just the music, for more information see the previous review, or their website. This new 5 track EP continues with many of the same type of tracks that made "Hands High" a great release, particularly for younger worshippers. This EP kicks off with the track "Senses" that was initially released as a single. The sound track has a basic beat and tune, but with lots of 8-Bit gaming sounds and reminds me of some of the work from Sam Ock. This track is all about expressing how the touch of God changes how we see life, it talks about how the artist has "never known a life this colourful". It's about the freedom and joy that comes from knowing Jesus, and it's a great way of expressing it. 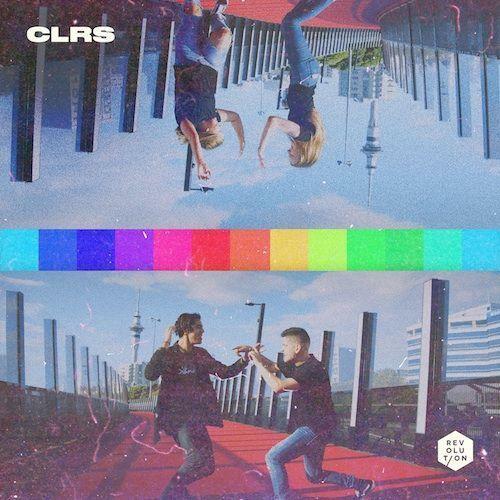 There are plenty of different EDM styles and the electro sound effects are on most of the tracks which actually sometimes are a little distracting, but they do fit with the music well. 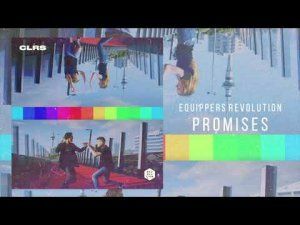 In "Promises" this dance track is all about the promises of God and the declaration to believe and trust that God knows what He is doing, even if it doesn't make sense to us at the time. The strong female vocal on the chorus does make this song seem fit for a younger audience than they are probably planning and aiming for. "You brought heaven down, and took off your crown, giving your life to set me free" is the refrain that strikes me from "Stay" which is a worship and dedication song. We are set free but we choose to remain in God, living for Him and this song using some very catchy sounds and a great female vocal reiterates this dedication. "Always Enough" brings us back to a soft male vocal which works nicely, the main thrust of this much slower song is that God is enough. The song shows that we have searched and tried other things, but now we've found Jesus He will always be enough. Again there is a declaration that we want God always to be our first desire. The short EP rounds out with "Heaven is Here" which has less of the electro vibes that come through the rest of the recording and a very distinctive opening. This feels like the closest that you are going to get to a reflective song from this youth movement! It is a declaration that Heaven is here, the Spirit is working in the people and that they are seeing glimpses of what God is doing as they enter His presence. If you like the EDM style of worship then I truly believe that this has as much to give as the bigger names within the EDM worship scene. In fact there are some real flashes of great writing in some of these tracks. Despite the nature of this music that you want to dance to there are lyrics that make you stop and think a little bit. "Heaven Is Here" is a great reflection of the best of this blend of music, some great lyrics and a little bit slower than some of the tracks, leaving you with a great positive, and slightly ethereal feeling, as the EP closes.